Starting a private practice can be overwhelming, but this book will show you how it’s done. While you might get impatient at times, keep the end results in mind: working your own hours, having an overflow of clients, and gaining increased financial success. It takes time to build a practice, and sometimes you need to take it one step at a time. This book shows you exactly how to achieve your business goals. The end is worth it—your own successful business with YOU as your own boss. Jennifer McGurk has written a book for all of us wanting to know more about the ins and outs of private practice. She incorporates her own business-savvy tips throughout the book, letting her readers know all about her own experience. A must-read for any dietitian, therapist, or counseling professional! The 10 steps are laid out for you in an easy to follow format! Want more? Preview the Table of Contents! DOWNLOAD THE ENTIRE PDF EBOOK! Want a hard copy or ebook? Pursuing Private Practice: 10 Steps to Start Your Own Business is also available on Amazon and Kindle. “Why wasn’t this book around in 2005 when I started my private practice? I longed for a resource that would SIMPLY break down the steps without lots of fluff…I was working a full-time job and a part time job at the time because I dreamed of starting a private practice…yet didn’t have the TIME to go through long texts that mostly didn’t pertain to me. There was NOTHING for dietitians or therapists. Pursuing Private Practice is THE book I was looking for back then. Up-to-date on business structure choices, medical record options, and HOW to make the transition to dreaming about being your own boss to being your own boss. This is the type of book you will read and re-read and have marks in all the margins. The binding will be well worn because you will USE it as you make those first steps. 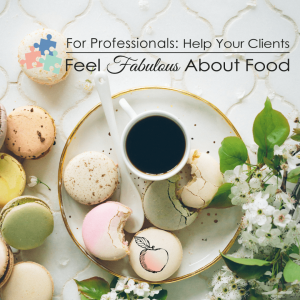 I think all dietitians and therapists who want to own their own practice can and need to…clients thrive when the therapist is able to practice in the most efficient and desirable way. Thank you Jennifer McGurk for writing this much needed book.